Blind baking is a term used to describe the process of pre-baking a pie or tart crust before it has been filled. Blind baking crusts can be partially baked before filling or baked completely, depending on the pie recipe you are using. There are a couple of reasons that a pie crust might need to be blind baked. 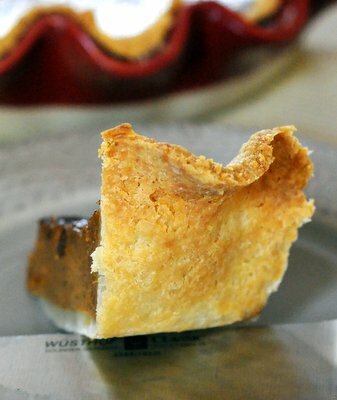 The first is that some pie fillings need less cooking time than the pie crusts that hold them. Many custard pies, including cheesecakes and pumpkin pies, fall into this category. Sometimes people simply fill their unbaked crust and bake it until the filling is set, leaving them with an under-cooked crust that is not as browned, as crisp or as flaky as it should be. For these types of pies with baked fillings, crusts are often blind baked for only 20 minutes or so, to set the crust. Other pies are made with pre-cooked fillings, such as chocolate cream pies and pies with similar pudding-like fillings. 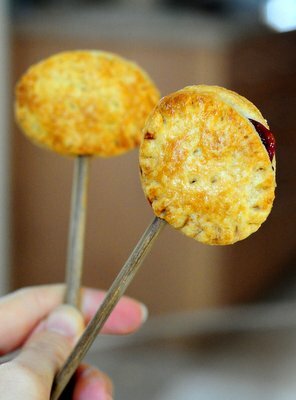 These pies need crusts that are blind baked until they are completely cooked, since they will not be going back into the oven for another round of baking. 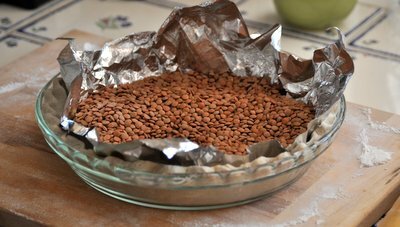 To blind bake a crust, it will be rolled out and fitted to a pie plate. It is important to rest the dough in the refrigerator for 30-45 minutes before putting it into the oven to prevent it from shrinking. The crust will be lined with pie weights to prevent it from rising out of the pan in the oven and baked at a high temperature for a short period of time to set the crust. If a crust only needs to be partially blind baked, it is removed from the oven at this point and the filling is added. If it needs to be completely baked, the pie weights are removed and the crust is returned to the oven to bake completely, usually at a slightly lower temperature. What is the Best Way to Cut Butter into Flour?